I visited Niessing’s workshops in Vreden before opening Stonechat and I was lucky enough to see first-hand the unique process involved in making a tension ring. This style of ring has been copied by many but few have done it successfully. 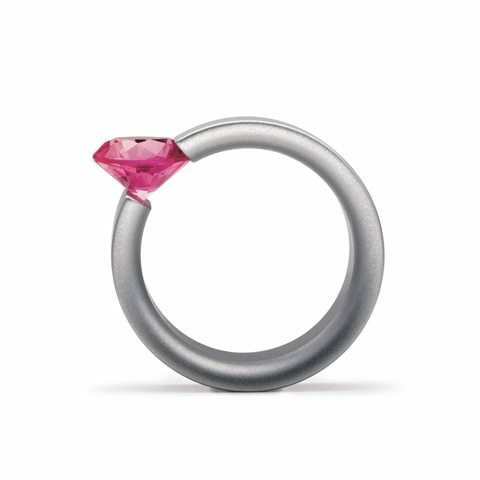 Customers are always fascinated by this unique design and how it came about so I decided it would be a nice idea for a blog post… As always, the real thing is so much more beautiful than an image so feel free to call in and try a tension ring the next time that you are passing. What is typically Niessing? The art of reduction. Pure form reduced to the essential: That is jewellery by Niessing. It is simple, pure and clear. There is nothing to distract or disturb. Gold, platinum and diamonds – the beauty of the materials and the simplicity of the design speak for themselves. To me, this is most apparent in their trademark design the tension ring. The simplest of all designs and yet the most striking – a floating diamond in a simple band. 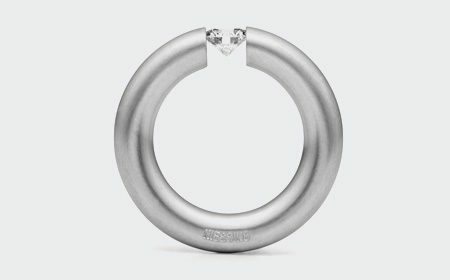 The original tension ring by Niessing, now a registered work of art. 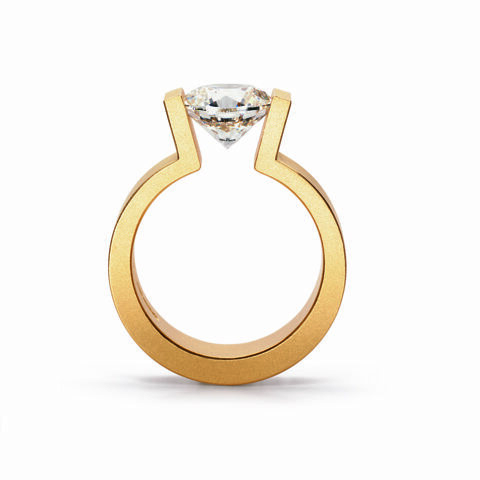 The tension ring, developed in the late 1970s, has become an icon of modern jewellery design. 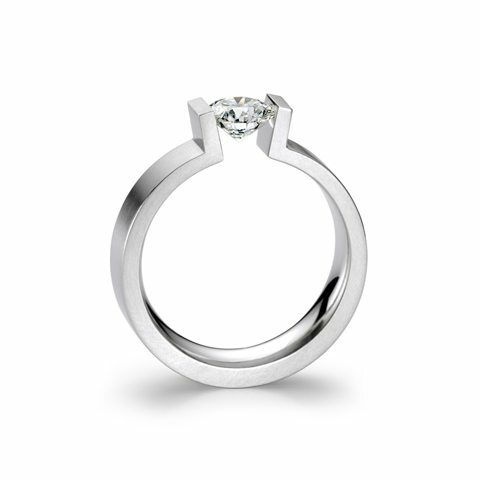 The diamond is held in place by the tension in the metal ring giving the impression that it is floating. 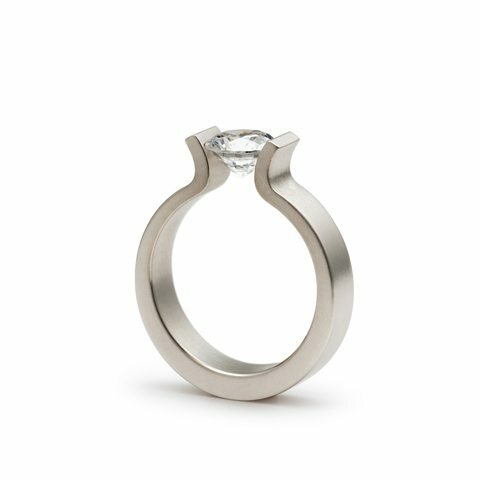 This style of minimalist setting allows the maximum amount of light into the stone and brings out a brilliance that can be hidden by other settings. In December 1979 Wittek brought the concept to Niessing and the design was immediately accepted. 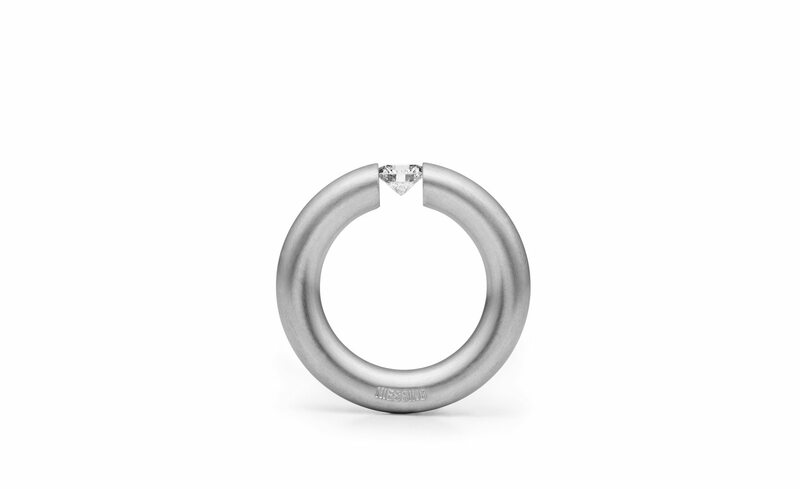 One year later the first Niessing tension ring was created. This award winning, original design has been included in many permanent museum collections and was officially recognised as a piece of art in 2001. 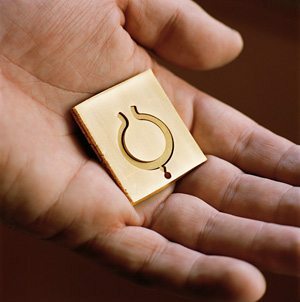 Niessing use a unique process of casting a block of metal in a particular alloy and then cutting the ring out of this block. The metal is then work-hardened to increase the strength and tension in the ring. Creating a tension ring requires the ultimate precision, craftsmanship and manual dexterity. 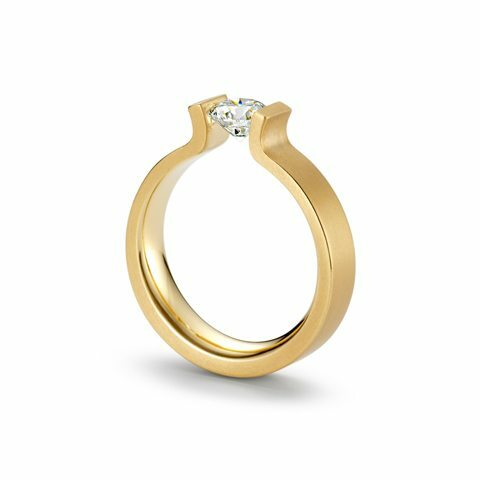 Goldsmiths, diamond setters, gemologists, polishers – they each play a significant role in the creation of each tension ring. 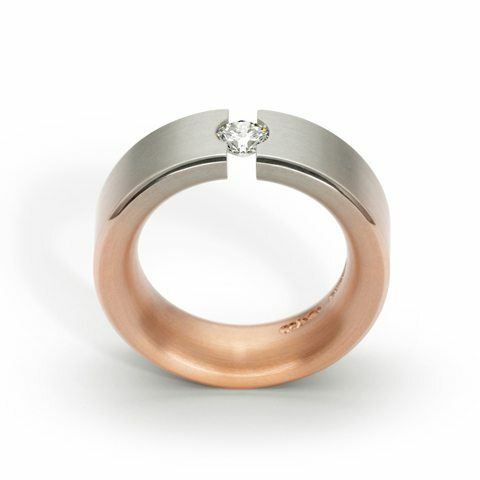 Niessing has developed its own metal alloys (mixture of metals to make up the required finesse of gold or platinum) and a unique forging process that is strong enough to hold the tension in the ring. 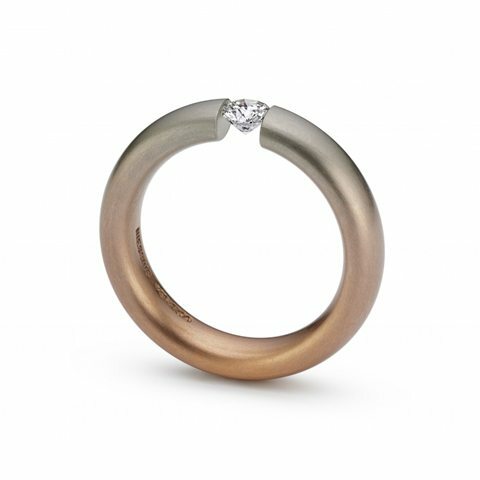 Only these alloys achieve a lasting tension in the ring and allow Niessing to accurately determine how much tension is required to hold the stone in place. The molten metals are expertly mixed and poured in Niessing’s workshop. Before being set each diamond is individually tested to determine whether it can cope with the special demands of a Niessing ring. The stone cannot have large inclusions in the wrong place or the pressure from the ring could damage it. The technique of creating a tension ring has continually evolved since 1979 allowing Niessing to invent new ring shapes and designs.